Mike Carrivick, Chief Executive of the Board of Airline Representatives in the UK (BAR UK), has announced his planned retirement from the organisation which represents over 80 airlines. Carrivick, who has set a date at the end of October, commenced his aviation career in 1965 on a general apprenticeship with British European Airways. A 20-year progression with Qantas Airways was followed by roles with Brymon European Airways, Maersk DFDS Travel and IATA. He joined BAR UK in 2004 where he has since led the organisation through a challenging period for the aviation industry and come into contact with a large number of government ministers, departments and industry stakeholders. Finnair will introduce a direct route to Chongqing, the largest and fastest-growing city in China, on 9 May. Such is Chinese politics and sensibilities, journalists from Western Europe (but not the Nordic countries) are being refused entry visas via the city. This follows the murder of British businessman Neil Haywood. Finnair is the first airline to open a direct flight route from Europe to Chongqing. Situated on the edge of the Tibetan plateau, Greater Chongqing has a population of 32m. “China is a key part of our Europe-Asia strategy. Western China is an important growth area, and the new route will strengthen our market share in the growing Asian markets. 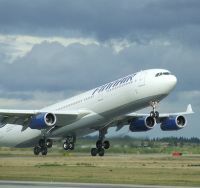 In addition to Chongqing, Finnair flies to Beijing, Shanghai and to Hong Kong with a total of 26 weekly flights,” said Mika Vehviläinen, President and CEO of Finnair. Helsinki serves as a hub from many parts of Europe with frequent flights including, from the UK, Heathrow and Manchester. With the success of its Luton operation (as reported by AERBT – ten a week from October), and much to the chagrin of incumbent Jet2.com, easyJet is to introduce an Airbus A319 Manchester – Tel Aviv service from 1 November, flown on a Thursday and on a day to be confirmed. Jet2 operates on a Monday and Thursday with a 5hrs 15mins flight using a larger Boeing 757. 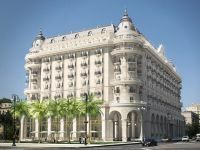 Due to open on 15 June is the Four Seasons Hotel Baku. The city is the capital of Azerbaijan, as well as the largest metropolis on the Caspian Sea and of the Caucasus region. The new-build, to classical design, offers 171 guest rooms – including 29 luxury suites – almost all opening onto a balcony. On the ninth floor is a spa with the pool on the fourth floor of a spectacular atrium which rises to a glass roof in the top of the building. 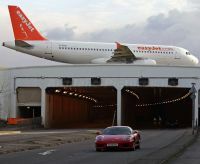 News from Boeing that its 787 Dreamliner is visiting the North West has got Manchester Airport’s Runway Visitor Park bosses busy with thousands of people expected to descend on the facility to witness the historic flight. The historic day is thanks to Thomson Airways who have jumped in front of British Airways as the first UK customer for the aircraft, and are using the visit as an excuse to give some of its staff an opportunity to get up close to what is the first large commercial plane to be entirely developed this century. Boeing’s own development aircraft will be make a visit to the region arriving this evening (Monday 23 April) as part of the sixth leg of the Boeing Dream World Tour. Tomorrow the aircraft will depart for a short demo flight around mid-morning returning at lunchtime. Eastern Airways has now restarted its Southampton to Brussels operation after the service was axed by Flybe. 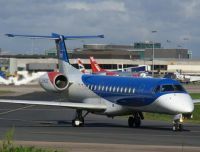 Previously Eastern had operated flights to the EU capital until the Exeter-based carrier had muscled its way in using larger aircraft and offering cheaper fares. That lasted until mid-February. Weekday flights leave Southampton at 11:10 on Mondays and Tuesdays, 13:00 on Wednesdays and 10:55 on Thursdays and Fridays. Operating the route is a 29-seat BAe J41. With the UEFA European soccer cup starting 8 June, Warsaw Modlin Airport (WMI) is rushing towards opening as a civilian enterprise. The former military airport has been converted to a low cost operation with Ryanair and Wizz expected to be the first operators. Located 35km north of the city centre it will have the benefit of a rail link, which the very modern main international airport, called Frederick Chopin (WAW), still awaits. 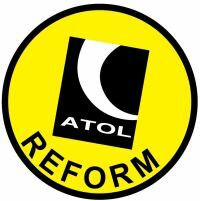 The Department for Transport (DfT) and Civil Aviation Authority (CAA) have published the key documents outlining the next steps for reforms to the ATOL (Air Transport Operators Licence) financial protection scheme. AERBT emphasises that travellers wishing to purchase a package holiday should only book trips that are ATOL protected and therefore indemnified. For separate scheduled air travel it is suggested that insurance cover be arranged. A 12-month or bank-backed arrangement is probably best as it should cover most eventualities without having to think every time you travel. Alisha Durgahee, CNN’s investigative business travel reporter, has been rushing about to get hoteliers’ views on wi-fi, and that of providers too. She has interviewed Kurt Ritter, President of Rezidor Hotel Group, Monika Neger, Chief Information Officer of Mandarin Oriental Hotel Group, Juliana Shallcross, Managing Editor of HotelChatter and Joe Germanotta, CEO of wi-fi provider GuestWiFi. Now that mobile phones have rendered hotel room phones largely obsolete, wi-fi is the new bugbear for today's traveller. The Rezidor Group owns mid-tier chain Radisson Blu and has offered free wi-fi since 1995, which is now available in more than 50,000 rooms worldwide. Vueling, which calls itself "the new generation airline", has announced the reintroduction of a direct Edinburgh – Barcelona route. The three times weekly flights will complement Vueling’s expanding UK – Spain route network comprising existing fights from Heathrow to Bilbao, Galicia, La Coruna and Vigo and its new routes for summer 2012 from Cardiff to Barcelona, Mallorca and Alicante and from Southampton to Barcelona. Following the announcement by bmi that it is withdrawing its long-standing service between Glasgow and Leeds Bradford airports, Loganair is stepping in with a Flybe franchise operation from Tuesday 8 May. It will also introduce a Sunday evening service in each direction from 2 September, marking the return of weekend schedules after a gap of several years. For the time being bmi continues with Edinburgh to Leeds Bradford. New flight timings facilitate connections via Glasgow to points including Stornoway, Kirkwall, Sumburgh, Tiree, Barra and Benbecula. Based on the Isle of Man (IoM), and not officially an airline at all (it describes itself as a ‘ticket selling company’), Manx2 has abandoned credit card charges, booking fees and surcharges. The Manx2 ‘brand’ offers flights to and from Blackpool, Belfast, Leeds Bradford, Newcastle, Gloucester, Oxford, Jersey and Anglesey, as well as Ronaldsway, IoM. The flights are operated by various European licensed airlines. 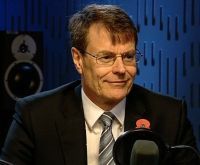 David Buck, Managing Director of Manx2.com, said that he hoped passengers would show their support for their honest pricing and vote with their wallets: “We listened to our customers, so rather than increasing or renaming the charges as some companies have done recently, we have chosen to remove all transaction and booking fees including debit and credit card charges. 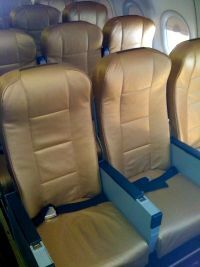 Manx2.com’s prices also include all airport taxes, a guarantee of no fuel surcharges, a free 10kg carry-on bag allowance, free online check-in, and free transfer to an earlier flight on the day of travel on a ‘space available’ basis. Heathrow Terminal 5 is hosting a special exhibition of equine artwork created to celebrate the contribution horses will make at the forthcoming London 2012 Olympic and Paralympic Games. The presentation, called ‘Faster, Higher, Stronger' the Olympic motto, runs until 17 May and is located before security in the Terminal 5 Expo Fine Art Gallery. It features 12 paintings of horses by artist Faye Nasser-Joley. Each painting has been named after one of the 12 mythological Gods of Olympus, the Greek birthplace of the Games. Faye, who began painting aged three, has won numerous awards for her work. Regarded as one of England's most talented emerging artists, her work is sought after by collectors in the United States, Europe, the Middle East and Australia. During the exhibition she will spend time in the Gallery working on her paintings. Passengers travelling through the airport are invited to view the exhibition and have a chat with Faye about her career. The Welsh rugby team are very much on the up (Six Nations Champions 2011/2012) and so is their home city Cardiff. Even if you are not into the 15 men per side form of legalised hooliganism (played by gentlemen – or so they say), the National Stadium, owned by the Welsh Ruby Union is one of the many places in the capital of Wales worth a visit. Tours take place daily and the stadium (also called the Millennium Stadium) is just a short walk from the city centre. If you are coming by the most popular route, that is the M4 via the Severn Bridge, you do have to pay to get into the country, currently £6 for a vehicle up to nine places. Mind you once the money has been spent they are not worried. To get out is free. Cardiff was the world’s busiest coal port 100 years ago. All that is now very much in the past. The place is clean and bright, typified by Cardiff Bay, the largest man-made sea inlet in the United Kingdom. We stayed at the Cardiff Hilton, highly recommended. Right in the centre of the city one just abandons the car (don’t worry – they bring it back when wanted) and perfect for grandchildren (under 10) who could use the fine indoor pool and make the most of a free lunch and dinner menu. This was supposed to be when dinning with the adults but the sympathetic staff were more than happy to let them eat early and for the seniors to dine later. Maybe there was method in their madness. We drank a bit more wine. At any event there are some very good deals available, but not when Wales are playing! The Cardiff Hilton is really at the centre of everything. On one side is Cardiff Castle and 2,000 years of history, and behind the building the pedestrian precinct including a new John Lewis. Plus many pubs and eating places to suit all tastes. Also very close by is the start and finish of the circular tour bus, a vital ride early in your visit in order to establish the essential layout of the place and what to focus upon. Cardiff Castle is an enigma. It actually dates back to Roman times and the Norman keep cannot be viewed from the road. What you see from the outside is essentially a grand Victorian palace, a living memorial to the Earl of Bute, landowner, dock developer and lover of the arts. 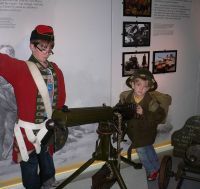 The Family Trail will keep the younger ones amused and entertained teaching them about the Tudor times, mid-Victorian Wales, and history of the valiant warriors from these parts who went out and defended the Empire. The lovely grounds have also been the venue for many a concert, pop and philharmonic. Tom Jones is always popular. If it is theatre that you are into The Wales Millennium Centre is a must in a lovely setting down by the waterside. Locally nicknamed ‘the Armadillo’, the Centre comprises one large theatre and two smaller halls with shops, bars and restaurants. It houses the national orchestra and opera, dance, theatre and literature companies, a total of eight arts organisations in residence. The main theatre, the Donald Gordon Theatre, has 1,897 seats, the BBC Hoddinott Hall 350 and the Weston Studio Theatre 250. Regular daily showcase tours are on offer which take you around all of the backstage. Have a look at the programme to see if your visit fits one of the many and varied offerings. As an alternative you can visit the New Theatre, which is not new at all (1906), currently running Murder on the Nile and due to offer the Susan Boyle musical “I dreamed a Dream” in mid-May. St David’s Hall is nearby, a venue for Welsh voices. Easy walking distance from the Millennium Centre is Techniquest a science and discovery centre for children. It was the UK’s first project of its kind 25 years ago and is a big success. 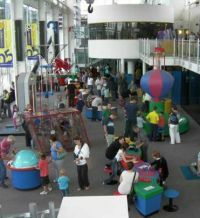 Techniquest gives visitors a hands-on approach to science and includes a science theatre, a planetarium, and a discovery centre. More than 120 exhibits are just waiting to be pushed, pulled and prodded! Just outside Cardiff is St Fagans Natural History Museum. Go early. It gets crowded. The museum includes over 40 buildings which represent the architecture of Wales, including a nonconformist chapel, a village schoolhouse, a toll booth, and a small farm. The museum holds displays of traditional crafts with a working blacksmith's forge, a pottery, a weaver, miller and clog maker. There is a row of workmen's cottages, each one from a different era. South Wales is a great area for tourism with Merthyr Tydfil, the southern gateway to the Brecon Beacons National Park, just 25 miles away. Continue north to the visitor centre for an early lunch and then turn east on the A470/A40 towards Brecon, Abergavenny and Blaenavon and The Big Pit, a former mine and now a national museum (and as such free) with a working lift shaft enabling visitors to go underground. 150 years ago children worked under terrible conditions. It is a real eye opener. Our visit was not long enough, just two nights, a full week needed to justify this corner of Wales. We missed out on the Cardiff International White Water Centre, The National Museum of Wales, and Dyffryn Gardens, 55 acres of natural beauty. The concierge at the Cardiff Hilton was keen to suggest Penderyn Distillery and the Cardiff Central Market, wrought iron and Victorian. As General McArthur once said under more arduous circumstances, “we shall return”. Launched last June in French for the Paris Airshow at Le Bourget, and now available in an English version, is aeronewstv claimed to be the first online general interest web-tv dedicated to aeronautical news. London is not the only world city to have problems deciding on its future airport requirements. Kingsford Smith Airport, on Botany Bay, has three runways, and moved around 36m passengers in 2011. This figure could double over the next 20 years although currently there is no growth. A scheme for a new airport 40 miles to the west was abandoned some years back. In advance of the official opening of the new Maynard H. Jackson Jnr International Terminal at Atlanta’s Hartsfield-Jackson International Airport on 16 May, Delta Airlines has introduced a second daily flight from Heathrow. With an 09:45 Heathrow departure and arrival at 14:20 it has been scheduled to increase customers’ travel options by offering additional connections to more than 150 destinations throughout the US, Latin America and the Caribbean. From Atlanta, the return flight departs at 18:00 and arrives into Heathrow at 07:30 the next day. Flight timings for the original service stay as present 12:30/15:05 and 20:45/10:15. 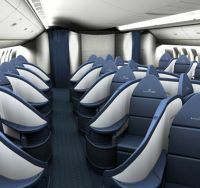 Delta’s second daily Atlanta flight will also be operated by a 246-seat Boeing 767-400ER aircraft, offering 39 full 180-degree flat-bed seats in BusinessElite and 28 seats in Economy Comfort – Delta’s premium economy cabin product. Customers flying in BusinessElite benefit from extensive in-flight entertainment, fine dining and wines, noise-cancelling headsets and other amenities. Delta offers nearly 5,500 flat-bed seats between Heathrow and the US every week. Not encumbered by security charges or APD (Air Passenger Duty), Eurostar has reported continued growth in sales revenues and passenger numbers in the first quarter of 2012. Sales revenues up 7% to £211m from £197m in Q1 2011. Passenger numbers up 4% to 2.24m in Q1 2012 from 2.15m in the same quarter last year. The operating company says that sales revenues and passenger volume growth were driven by leisure traffic. Business travel has remained broadly flat compared with 2011. 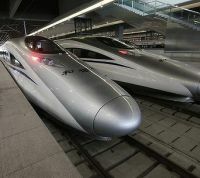 In addition to enjoying Eurostar’s traditional destinations, passengers looking to travel further afield by high speed rail, have been taking advantage of its highly competitive fares to Amsterdam travelling via Brussels. In anticipation of delivery of its sixth A380 aircraft, Malaysia Airlines is inducting its cabin crew and all other front-line staff with specialized training, to ensure they create the most memorable customer experience for all passengers on board the superjumbo. 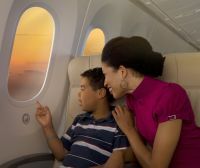 The first aircraft will be delivered in June and goes into service on the Kuala Lumpar – Heathrow route on 1 July 2012, well in advance of the London Olympics which start on 26th of the month. London City Airport (LCY) has welcomed its new Chief Executive Officer, Declan Collier, who joins LCY from the Dublin Airport Authority, where he has been CEO for the past seven years. 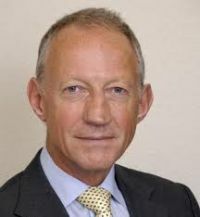 Outgoing Chief Executive, Richard Gooding, who has been with the airport since 1996, has become a non-executive Director. Mr Collier joins LCY at a time of growth – 3 million passengers in 2011 represented a 7% rise over 2010, while in the first three months of 2012, four new routes have been added, bringing the total the airport serves to 42. The airport’s record year was 2008 with 3,271,716 passengers passing through. Theresa Villiers, the junior Transport Minister, and noted for her intransience regarding Heathrow’s expansion, used the opportunity of the Transport Times conference in London last week to reiterate the Prime Minister’s recent words stating that the Government would look at all options for increasing capacity in the South East “with the exception of a third runway at Heathrow”. “The Coalition has always been clear that it doesn’t support a third runway at Heathrow – one of the very first acts as government was to confirm that,” the Minister of State said. Her words were at variance with that of BAA which cautioned it could go down the route of a judicial review if Heathrow was the one option barred from an inquiry into how to solve the UK’s capacity problems.